We're nearing the end of the service and so I step closer in to do the last 'ashes to ashes and dust to dust' bit. Just as I get to the edge of the grave, the soil gives away and in I go. Well, they reckon I was like a kangaroo. I hardly missed a beat. I went down into the grave like that, hit the coffin and I bounded back out in one big leap. And I'm now standing back up beside the grave, trying not to shake, while I continue with the service: 'Ashes to ashes, dust to dust'. Death doesn't mean the end of memorable stories from the bush. In fact, often it's just the beginning. 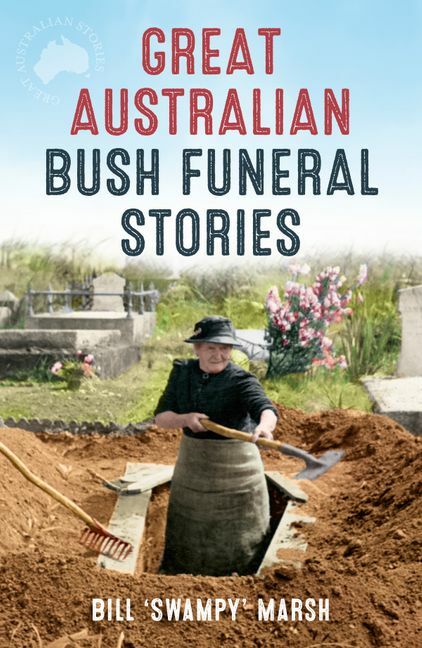 These tales from police officers, nurses, funeral directors, priests, gravediggers and those left behind, show that bush ingenuity comes to the fore when coping with corpses that won't cooperate or can't be found, bodies that don't stay buried, and weather and wildlife trying to sabotage the best-planned funerals. 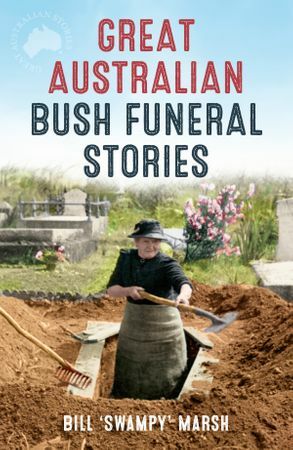 This memorable and eye-opening collection of real-life accounts of passing away and saying goodbye in the Australian bush is by turns, poignant, bizarre, heartbreaking and hilarious. Bill ‘Swampy' Marsh is an award-winning writer/performer of stories, songs and plays. Based in Adelaide, he is best known for his successful Great Australian series of books published with ABC Books: MORE GREAT AUSTRALIAN FLYING DOCTOR STORIES (2007), GREAT AUSTRALIAN RAILWAY STORIES (2005), GREAT AUSTRALIAN DROVING STORIES (2003), GREAT AUSTRALIAN SHEARING STORIES (2001), and GREAT AUSTRALIAN FLYING DOCTOR STORIES (1999).